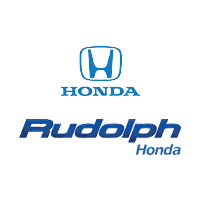 Rudolph Honda is El Paso’s NEWEST AND MOST ADVANCED Honda Certified Express Service Center. Our customers can now experience fast, convenient “while-you-wait-service” at competitive prices. Our Express Service Technicians utilize state of the art tools and processes developed specifically for Express Service, allowing them to perform alignment checks, inflate/ deflate tires to the recommended PSI for your specific vehicle faster than ever before while maintaining the highest quality. In addition, we are able to check your Honda vehicle for any recalls …soon this will be available to all makes and models. All this and a FREE Courtesy Car Rinse after your services are performed. Look below to see which services offered by our all-new Honda Certified Express Center. If you have a larger service or a service not listed above, you may make an appointment. The appointment time is to see your service advisor and the advisor at the time of write up will let you know the approximate completion time.